All day turnout by themselves or in a group, horses are happy. 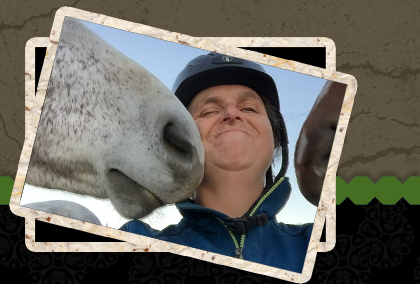 With experienced staff that truly care about your horse and your needs, a facility that includes an indoor with euro felt footing that has been treated with liquid magnesium for dust control and gets groomed daily, a cross country course, a sand stadium ring, a dressage arena, plenty of friends to ride with we think you will be happy. With 20 years at Green Acres and a staff that has well over 100 years of experience in the horse business we are confident in our program. Horses get hayed 3 times a day and grained 2 or 3 times a day. We do a rotational deworming program or fecals for all horses. The farm suppy and deworm all horses with Ivermectin in April and December followed by fecals. We offer full board, clean your own stall board and outdoor shed board. Board is due on the 25th of the month prior. An increase of $30. for anybody who pays after the 1st. Same as Full board except owner cleans the horses stall daily. Horse lives with a buddy in one of our sheds. This service includes hay and sawdust and the farm will throw your horse their grain in the AM. We do not do anything other than throw your horse their grain in the AM. We do check your horses water and top off at late night if needed.